Hello, Friends! 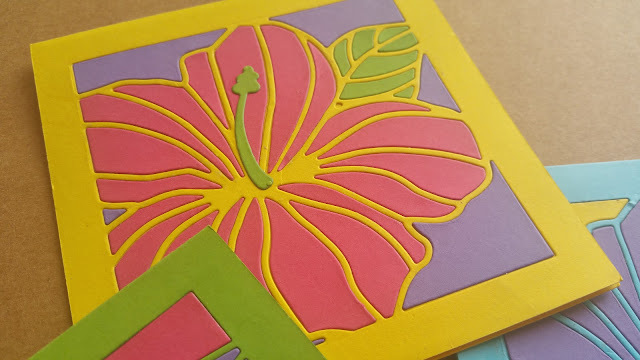 Today we are excited to show you how to achieve a mosaic like look using paper and die cutting technique. The term "Mosaic" is generally associated with materials like stones, tiles or glass but here we are simply going to use colored cardstock. This pattern features inlay die cutting technique in which multiple die cut shapes are adhered together to create one-layer inlaid design. We created these cards to celebrate Friendship Day however, they are perfect for any occasion. So scroll down to see how we made these gorgeous looking cards! 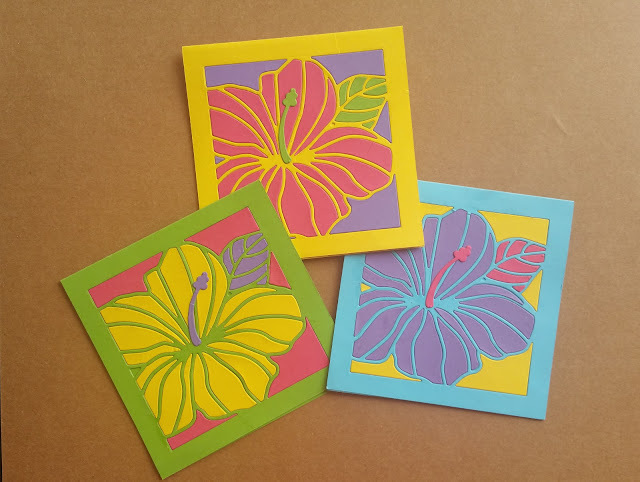 First we used the Hibiscus Frame die to cut 5 different colored cardstock - Yellow, Blue, Pink, Purple and Green. After die cutting each card base, we set aside the petals or cut pieces for later use. Next, we added another layer of cardstock to the inside of the card and started gluing the petals in the openings. 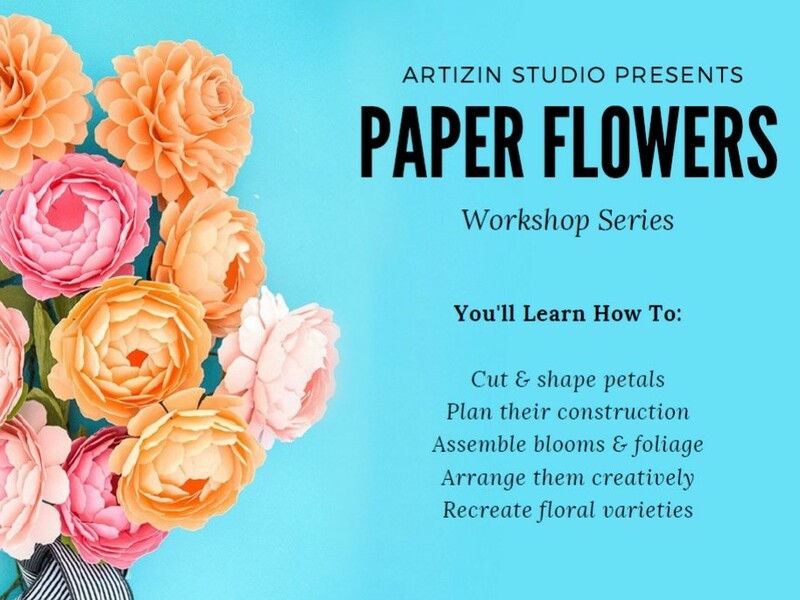 To give a colorful effect, we interchanged the colors of the petals, leaves and backgrounds. Want to create these cards on your own? Purchase the DIY kit and learn how to create these cards from the convenience of your home. Our DIY kits are perfect activity for any party and can also be given as a gift to someone creative. 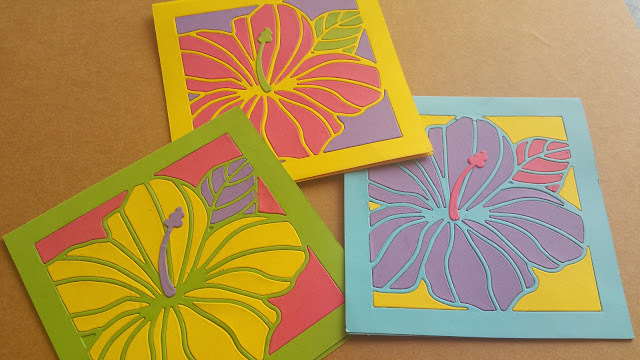 You can also walk-into our studio to create these cards, explore the tools and learn the technique!